Five different freeride lines are on the agenda at the Kitzsteinhorn. There is a reason why the Kitzsteinhorn is one of the most popular freeride areas in the Alps. Ice Age, Westside Story, Left Wing, Jump Run and Pipe Line offer you the best lines you can imagine. With 100 % snow reliability in 3.000 metres above sea level, you enjoy sensational conditions for freeriding and off-piste skiing throughout winter. Powder lines, cliff jumps and natural pipes – freeriders find everything their heart desires on five freeride routes at the Kitzsteinhorn. 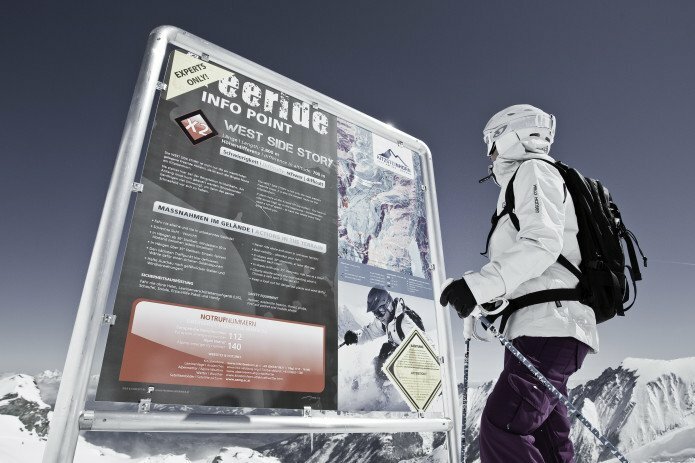 An informative Freeride XXL signposting system make the Kitzsteinhorn Glacier ski resort in Zell am See-Kaprun one of the most popular freeride hotspots in the Alps. The Freeride XXL motto is always “Safety first!”. 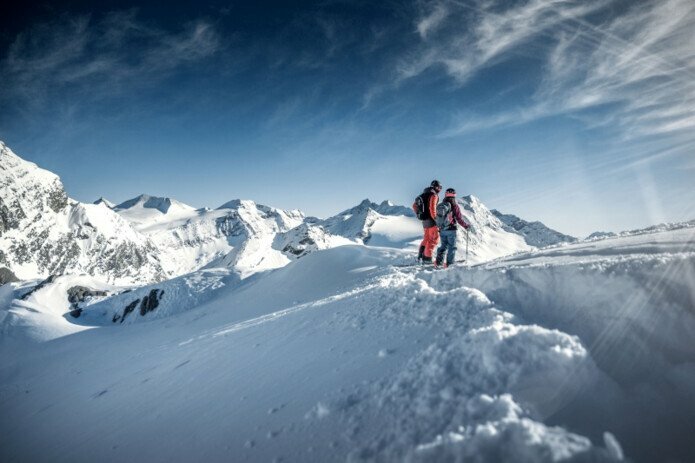 Valuable knowledge about safety and risks is conveyed in regular freeride camps. For freeriding in the backcountry, check out the Freeride Info Point, thus you are perfectly prepared. 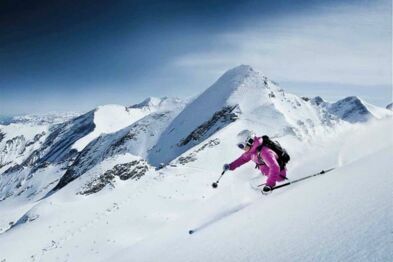 And if you want to find a few "secret spots", then book a mountain or ski guide for the ultimate freeride experience. Freeriders get information about the conditions away from the secured pistes from the Freeride Info Base at the Alpincenter and from the Info Points at the accesses to the freeride routes. Up-to-date information about freeride routes, weather and snow situation, avalanche warning levels, equipment tips and an avalanche transceiver checkpoint provide valuable knowledge.Topographic maps provide information about the steepness of the slopes, potential danger spots and the most beautiful lines on the planed freeride route. Freeriders practice how to handle the LVS device, probe and shovel and learn how to use their knowledge in an emergency in the PIEPS avalanche search training field. 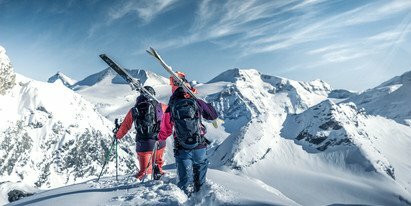 Experienced ski and mountain guides offer their services in the Zell am See-Kaprun region and score with their local knowledge, and a high level of know-how. Especially in open terrain the experience and tips provide security. Experience the fascination of freeride sport with the local experts of SKI DOME Oberschneider and Hartweger’s Ski & Snowboard School on Freeride Monday. Skiers and snowboarders aged 13 and over get valuable technique and safety tips from the region’s pros. "Start Up" is the programme for beginners whilst the "Advanced" programme requires basic freeride knowledge. Fancy a freeride adventure? All signs are pointing towards ski holiday, powder snow and freeride runs in the Zell am See-Kaprun region. Find suitable accommodation now or contact us directly. We look forward to welcome you on your next holiday here!